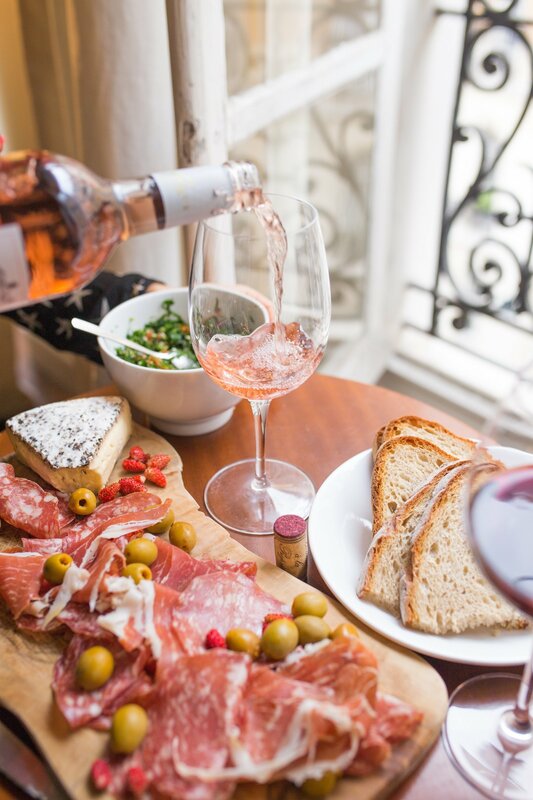 This summer, let’s ruffle some feathers and throw a soirée that’ll have everyone squawking for years — pink cocktails, pretty pink candy, and fluffy-winged invitations. Okay, so here’s a conversation starter: What do you call a group of flamingos? (Drum roll, please.) A flamboyance! And isn’t that just fitting? 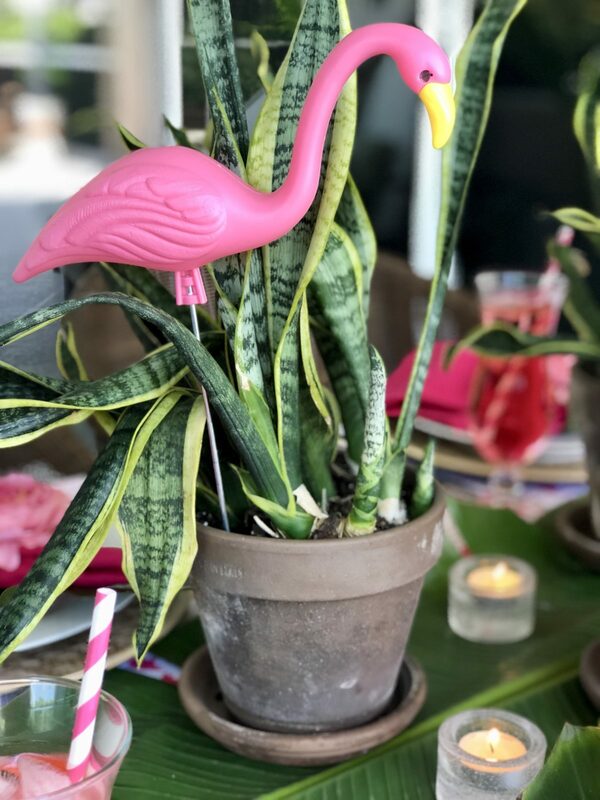 This party theme takes its cue from those pink-feathered, stilt-legged quirky friends of ours for a similarly flamboyant and fun event. 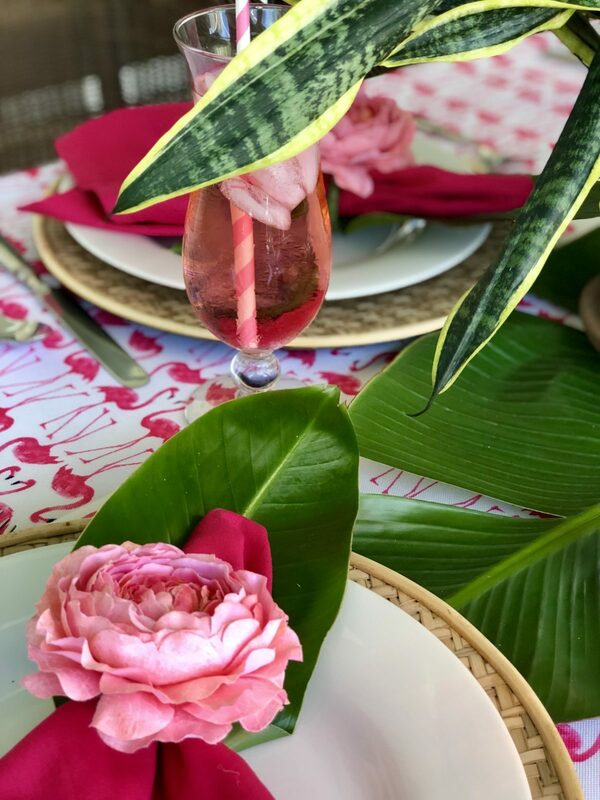 To get guests in the “flamingling” mood, we set a sunny, tropical space with palm leaves, a flamingo printed tablecloth and bright pink floral napkin rings. These miniature plastic flamingos totally made the table setting. They are much smaller than your typical yard ornament – but perfect for a center piece. This tropical theme has always been one of my favorites. Everyone loves it, and the brightly colored linens just say “Let’s flamingle… or party”!